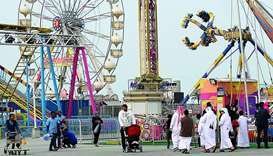 Aligned with the goals of the National Tourism Council (NTC), Qatar’s “largest outdoor amusement park” – Entertainment World Village (EWV) – is seeking to create additional attractions in Doha for both residents and tourists to enjoy. Qatar’s enhanced winter camping season has started to woo an increasing number of local and foreign visitors looking for safari and other desert adventures. Qatar is now being promoted by Cox & Kings India as the group’s new preferred destination, the National Tourism Council (NTC) has announced. Live music performances and a fashion show featuring latest trends in the industry marked the official opening of Shop Qatar’s 3rd edition , giving attendees a peek of the festival’s diverse offerings until January 20. 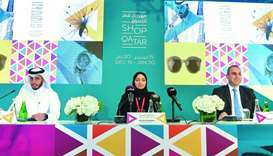 A six-day National Day Trade Festival, running from December 15-20, will mark the start of Shop Qatar’s third edition, offering QR3mn worth of cash and car prizes, and an array of discounts for shoppers, it was announced. 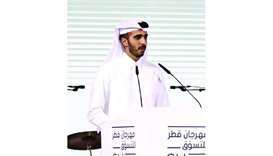 The National Tourism Council (NTC) launched Qatar’s first globally-coordinated promotion campaign in Doha on Monday aimed at positioning the country as an attractive destination, targeting 225mn international travellers across 15 markets. 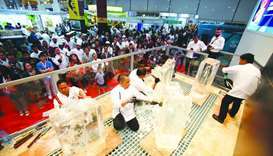 Hospitality Qatar 2018, which hosted the first-ever conference on the ‘Future of Tourism in Qatar’ in partnership with the National Tourism Council (NTC), concluded on a high note with the attendance of more than 7,000 visitors, the organisers said. His Highness the Amir Sheikh Tamim bin Hamad al-Thani issued on Sunday Decision No 74 of 2018 establishing the National Tourism Council. 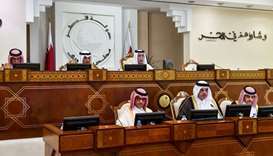 The Advisory Council, after deliberations, referred the draft law on the establishment of a National Tourism Council to the Financial and Economic Affairs Committee for further action. The Cabinet has approved a draft law on establishing the National Tourism Council, which is expected to provide a further boost to Qatar’s tourism sector through a multi-pronged approach.